Peter Davies of Gyro Air Displays is delighted to announce he will be taking his display to the EAA Airventure held at Oshkosh, Wisconsin, USA. EAA Airventure is the World’s Greatest Aviation celebration attracting audiences of over 500,000 from over 60 different countries. Approximately 100,000 aircraft fly-in to the event over the week ranging from home-built aircraft through to warbirds, airliners and modern military jets. Throughout the week EAA hosts air displays featuring aerobatics and special pyrotechnic displays, film screenings, concerts and firework displays to completely encompass the spirit of aviation. 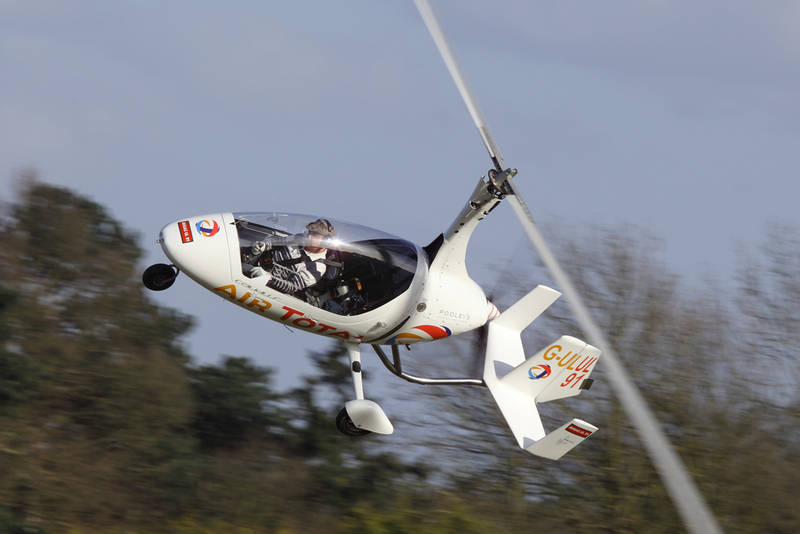 Peter will be flying displays on the Monday and Friday of the event in an AutoGyro Calidus 914 supplied by AutoGyro USA. For the displays the aircraft will be fitted with Peter’s own smoke system modifications. This will be the first time in 30 years that an Autogyro aircraft will have participated in the main EAA Airventure air displays.